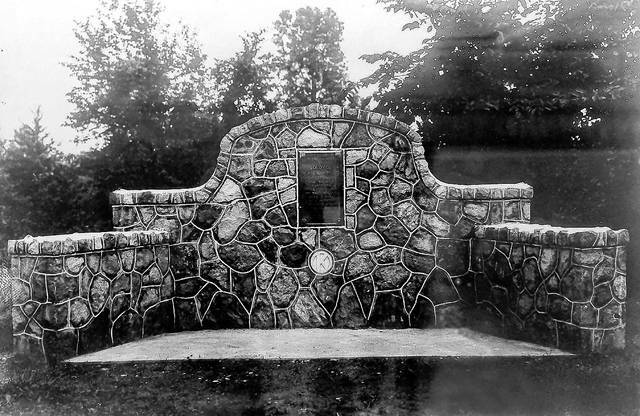 The Bucyrus, Crestline, Galion and New Washington historical societies, and the Lincoln Highway advocacy group, shared the expense to hire Galion’s Longstreth Memorials, which professionally power-washed the white marble monument, eliminating the moss-coating that accumulates under the cloak of the nearby woods. Colonel William Crawford was captured by Indians during a Revolutionary War maneuver on the site just east of the Leesville Crossroads in June, 1782. From there, he was marched to Wyandot County and burned at the stake. The Leesville monument was originally erected by the Crestline Kiwanis Club in 1928, when the Lincoln Highway was in its heyday. Among dignitaries attending the original dedication was the Dr. Frank Furniss, Ohio State Archeological Society Director, who also announced a proposal to the Ohio Legislature that this site become a state park. That event drew many people, and area newspapers ran articles about the history of Colonel William Crawford, along with the dedication coverage. 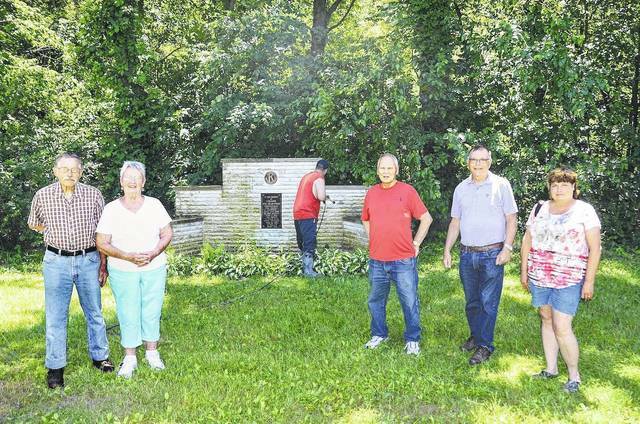 Thirty-three years later, in June, 1961, the original decrepit stone monument was completely replaced by the Crestline Kiwanis and again dedicated as the premier memorial to thos county’s namesake, who lost his life in the lingering Revolutionary War battle.